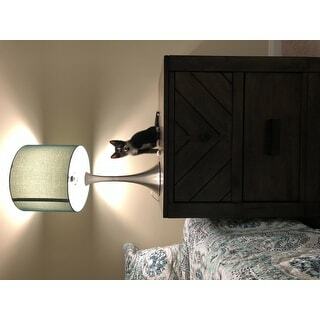 This nightstand is very pretty and arrives complete. My only issue is that the top draw is a little difficult to open and close. Get this rustic nightstand into your bedroom and watch it all go from drab to fab! Its top drawer features slatted and angled planks in an eye-catching design, and mixed knobs elevate the visual intrigue. Celebrate country chic charm with this rustic two-drawer nightstand. This product will ship to you in one (1) box; assembly is required.